Mid Bloomer. 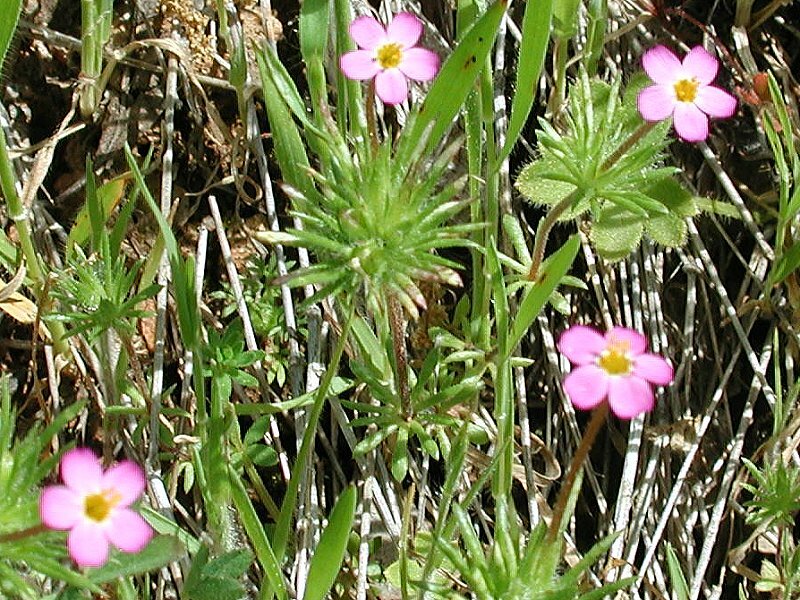 Small red-pink five-petal flowers, low growing. Thinly divided leaves circle stem at intervals. 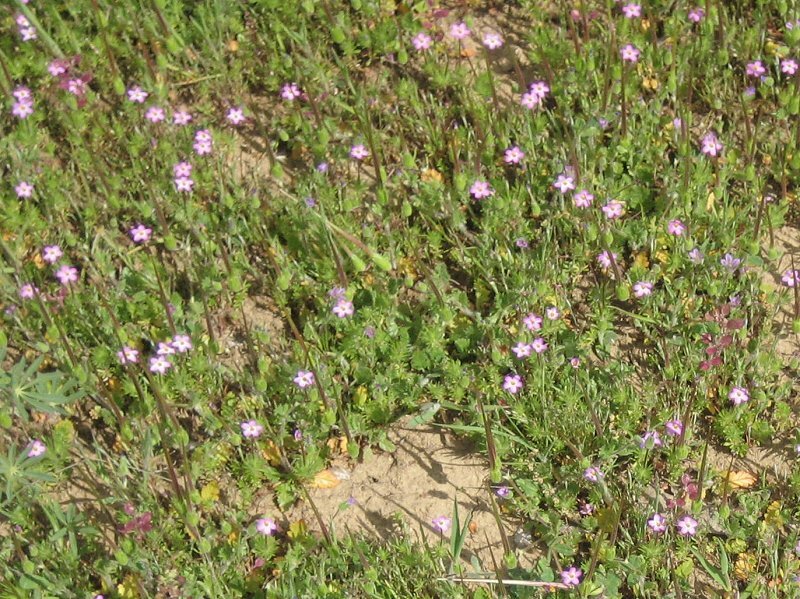 Field of Baby Stars among Long-beaked Storksbill that has gone to seed. You can see how tiny they are by comparing them with the bills.